Mind&Melody, South Florida Based For-Impact Organization, Announces New Funding! Mind&Melody, Inc., a 501(c)(3) for-impact organization, is happy to announce new funding of $54,750 in grants and awards! MIAMI - Oct. 26, 2017 - PRLog -- Mind&Melody, Inc. is a 501(c)(3) for-impact organization focused on creating innovative music programs to improve the lives of older adults and individuals experiencing dementia and other neurological impairments. Throughout this year Mind&Melody received $54,750 in grants and awards! This funding provides music sessions in Miami Dade District 7, Palm Beach County and the Treasure Coast! 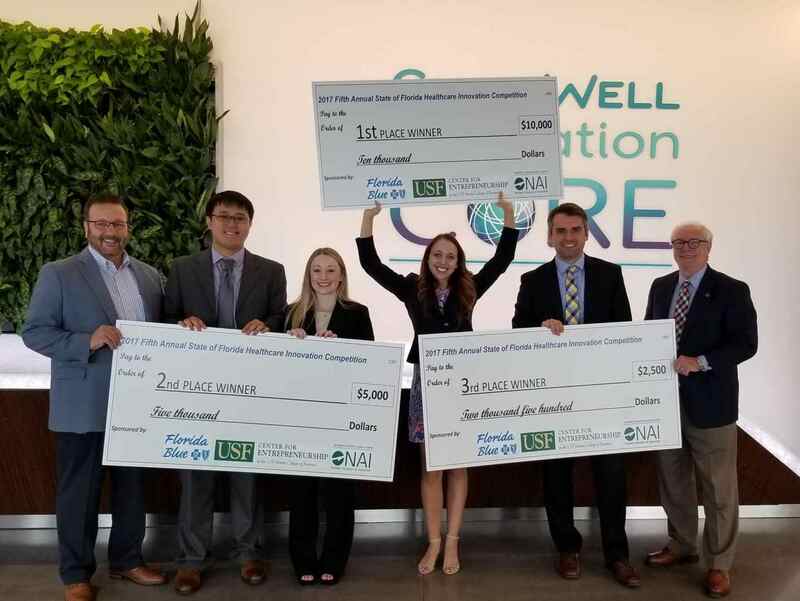 Lauren Koff, Co-Founder and Vice President recently competed in Florida Blue Statewide Healthcare Innovation Competition winning $11,000 total! Students from eight top universities in Florida competed for the best solution to help the "Aging in Place" population. Lauren said, "As a finalist Mind&Melody was awarded $1,000 and then after winning 1st place we were awarded another $10,000! We have partnered with home health agency, Nightingale Private Care, to pilot our in-home sessions in the comfort of a participant's home and provide a real one-on-one musical experience." Mind&Melody was granted $30,000 from the Quantum Foundation in mid-2017 to provide 80 music sessions and grow the organization through mid-2018! Cristina Rodriguez, Co-Founder and President stated, "This incredibly generous grant helps to fund existing and future programs in Palm Beach County including Boca Raton, Delray Beach, West Palm Beach, and Jupiter. The Quantum Foundation has allowed us to bring the joy of creating music to so many in need. Check out this fun video of a recent activity we did involving instruments called Boomwhackers: https://youtu.be/BgF5TNA47rA." The Town of Jupiter donated $4,000 to Mind&Melody to purchase instruments and bring music sessions to individuals in Jupiter! Cristina said, "This funding will really allow us to expand our reach further in this community and bring some fun and novel instruments into our sessions." Mind&Melody was granted $750 from the Port St. Lucie Business Women to start music sessions in the Port Saint Lucie area! Lauren added, "This is first funding we received for the Treasure Coast and we are pleased to announce we have our first facility scheduled to start sessions this month in Tradition!" Quantum Foundation is a private grantmaking organization based in West Palm Beach, Florida. We're the largest health funder in the county with 100% of our grants helping organizations that work directly in our local communities. We look for exciting and innovative projects that enhance health care access, improve health education and grow the health care workforce, so that everyone in Palm Beach County has the opportunity to live a healthy life, regardless of their income, education or background. Picture: Mind&Melody Co-Founder and Vice President, Lauren Koff (centered), after winning the Florida Blue Healthcare Innovation Competition with Florida Blue Market President David Pizzo (left) and Dr. Michael W. Fountain Director, Center for Entrepreneurship at USF (right).